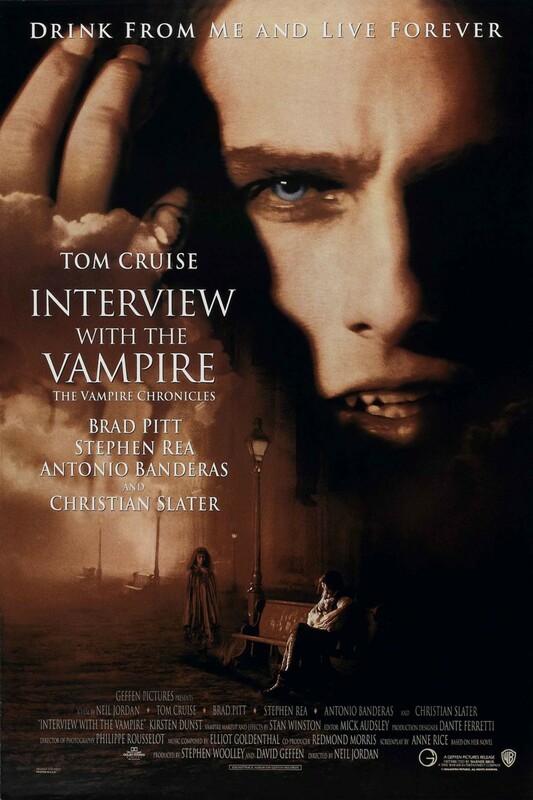 Based on the bestselling novel by Anne Rice, "Interview with the Vampire: The Vampire Chronicles" tells the story of how Louis, an idealistic young man who lost his wife and child to tragedy, falls under the spell of a capricious and exciting vampire named Lestat. Lestat gives Louis the dark gift of immortality, but unlike Lestat, Louis has trouble embracing the idea of himself as a predator and tries to suppress his murderous urges. Eventually, the two turn a girl named Claudia to be their vampire daughter, and even more conflicts arise in their relationship. The film is framed as an interview Louis gives to a mortal reporter and shows Louis and Lestat's interactions and their dealings with Claudia and other immortals in extended flashbacks.